When trying to deliver high quality levels of service that your customers expect, it is essential to have the right equipment in you workshop to service a modern car correctly. This not only maintains a valuable reputation with your customers, but allows you to make a healthy profit too. Workshops of all sizes can now satisfy their customer’s grand alignment expectations with the highly competitively priced Hunter PA200 range from ProAlign. The Hunter PA200 range of systems are produced to the same high standards as the rest of Hunter’s award winning Elite TD systems, but come at a more affordable price point that starts at just €8995. As an entry level Hunter aligner, the PA200 Lite is ideal for the most compact of workshops or those with very restricted budgets. The system utilises Hunter’s proven DSP706 measuring heads which is totally wireless and uses the latest integrated microprocessors, to measure 14 separate alignment angles. Unlike many conventional sensors, those supplied with the PA200 Lite allow users to carry out a short rolling compensation which makes the alignment measurement process quicker and easier than the jacking compensation method. The Hunter PA200 Plus demonstrates outstanding quality and imaging technology, with patented high definition targets at a very reasonable price. The system’s robust design and low cost of maintenance is appealing in itself, but with its ease of use this system allows workshops to deliver fast, accurate alignment measurement, delivering a professional service in minutes and a good return on investment. Both the PA200 Lite and Plus produce clear, understandable, customer friendly printouts which not only help you to sell the alignment job to customers, but gives them peace of mind of a job well done. 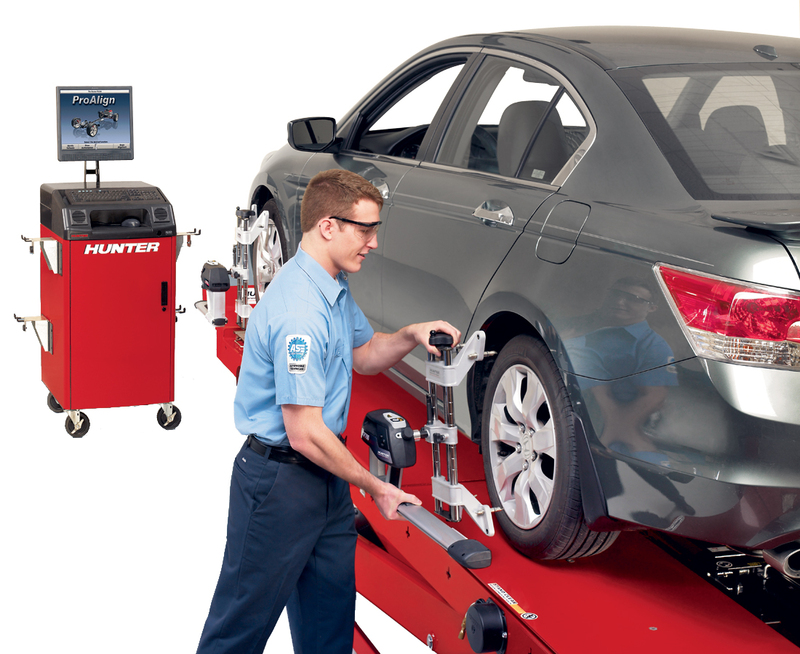 So, if you’ve got big ambitions for a wheel alignment service in your workshop, but a limited budget to invest, the Hunter PA200 range could be the answer you’re looking for.